Let me start off with my central point: a vote for Hillary is a vote to change history and the world. No, not because she’ll hail in some type of new economic stimulus (although I’m sure she’ll do just fine with our economy #ThanksObama) or because she’ll save us all from the evils of the GOP (looking at you Trump/Cruz/and the “moderate” Kasich) but because she’ll do one thing that’s never been done before: become the first female President of the United States, ever. I’m not a religious man; I’ve often written about my struggle with religion but I’ve never doubted my spirituality and/or faith in signs. To me, that moment was a sign that I was in the right place, at the right time and experiencing something I’ll never forget. G-d may or may not exist (FYI – if G-d does exist, G-d is most certainly female); what does exist is my faith in other people who have lived lives, seen and lived through experiences I haven’t or could never even image, and in those special moments learning from the emotions and passions they’re exhibiting and passing onto me. I agree with Dr. Tiller’s famous statement: “Trust women.” It’s always been my motto and more importantly, I believe and trust in Hillary Clinton not because she’s just a woman but because her qualifications and record will make me proud when my nieces look at their iPhones or televisions or read in history books that we had a female President while they were growing up. I think the biggest reason I want Hillary for President is because she makes me believe that there are higher purposes, greater hopes, and even hints of possibilities that this country, while embroiled in rallies, fear-mongering, and hatred on the other side of the political aisle, has the possibility to ride through this storm of insanity and come outside on the other end better, stronger, and changed for the better. So, when I’m asked why I support Hillary for President, my response isn’t her litany of qualifications or the recounting of her esteemed career, but rather the explanation of that feeling I got while holding my friend Marie’s hand and toasting not to Hillary’s wins but to the possibility that I will be alive when history is written and our country changes for the better; while some may call that feeling, a moment of grace, or being in the right place at the right time, I simply now refer to it as the moment I felt as if I experienced some aspect of the divine. I hope Hillary has an opportunity to read your essay. Your perspective is informative and persuasive with a great deal of heart. Thank you. And thanks to this website for publishing it. John, thank you for your thoughtful and thought-provoking post. I couldn’t agree with you more! I have read it; luckily for me, the blog posts at 12am PST so I’m always able to read every post before going to bed each night! Carol states – “In closing, let me say that I understand that reasonable feminists can disagree on which Democratic candidate to support in the primaries. I hope you understand that too.” I couldn’t agree with that sentiment more; support whomever you want in the Primaries (heck, that’s what they’re for) but come the General, vote blue (Democrat). Unfortunately, Carol doesn’t live in the United States, so there’s that. In some ways, the Democratic process is more alive recently because of the ways that Hillary/Bernie have engaged progressive/liberal/independent thinkers to come alive in online communities in ways that haven’t been done so since Obama won in 2008 and then again in 2012. John, emphatically agree with you. I am supporting Secretary Clinton all the way and can’t wait to vote for her in November! Interesting, isn’t it: Barack Obama’s election (twice) revealed the cesspit of seething racism in this country, and now the possibility of Secretary Clinton’s becoming the first female president is revealing an even deeper poison pool of misogyny. I’m looking forward to the 8 years of: “we elected a woman, don’t we live in a post-sexist world now?” Oh yes, just like when we elected Obama, we now live in a post-racial America too, right? Cue the eye rolls! Thanks, John, always enjoy your posts. Hillary Clinton probably has the best chance to make the first breakthrough for a woman President. She certainly has all the experience she needs to be a good President. And that accomplishment is exceedingly important as regards true gender equality in our time. Some pundits have been suggesting a Clinton-Elizabeth Warren ticket — and actually that would be thrilling, but a Clinton-Sanders ticket would work quite well also. Both Warren and Sanders would make great VP’s. I love Senator Sanders’ progressive independence and positive outlook on life. I’d be more than happy if she chose Sanders or even included him in her potential cabinet but they’re different policy wise. Elizabeth Warren is very qualified as well; I heard on several podcasts the likelihood of her choosing Sanders and some were very confident but than others believe she’ll diversify the ticket such as Julian Castro (my bet). I’m going to vote for Hillary, too. I voted for Shirley Chisolm. Other nations have voted for female leaders–Golda Meir, Indira Gandhi, Margaret Thatcher, Angela Merkel (have I missed any?). If, as the guys keep saying, the U.S. is the greatest nation on the earth, why are we so far behind? BTW, I just posted a parody–The Jabbertrump (with apologies to Lewis Carroll)–on my FB page. https://www.facebook.com/barbara.ardinger Enjoy! Hi Barbara, on your question, have I missed any? And Margaret Thatcher was good for the UK??? Margaret Thatcher was pure evil. I agree with John on Thatcher. New Zealand’s had two female Prime Ministers—one right wing and one centrist. There have been plenty of female leaders in Asia, Latin America, Africa, and Europe (there is a good list on Wikipedia). The U.S. is below the world average (both mean and median) for female representation among politicians, and it’s considerably below the average for other long-standing democracies and wealthy countries. *cling* thank you for allowing me to experience that moment with you! Thank you for a stirring post. I so wish I could be with you holding hands in tears on that couch. But I must consider Hillary’s record, which includes a vote for the war in Iraq. 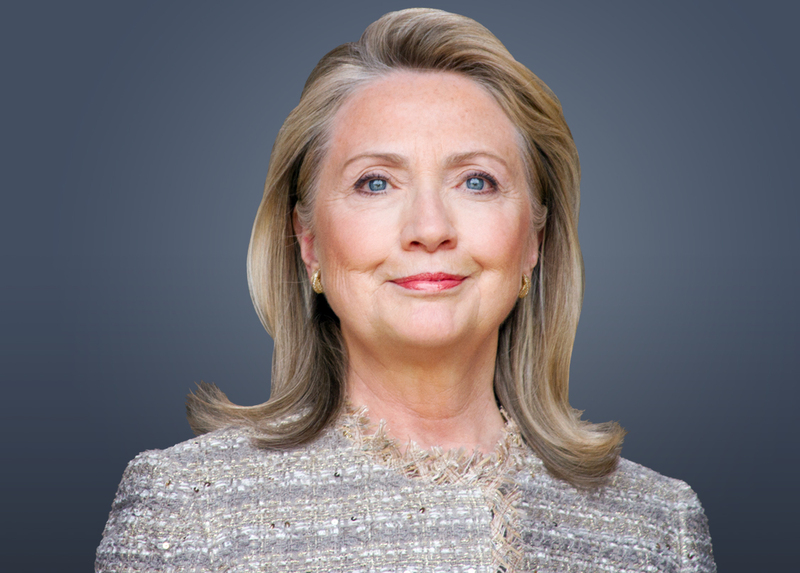 As secretary of state, she continued militaristic, interventionist policies which I cannot support. I don’t see Bernie as a left wing savior, but he stands for convictions I share and voices truths that we would all do well to hear. I cannot predict who has the best chance of winning the general election. I will support whoever wins the Democratic nomination. In the primary, I must vote for the values Bernie represents. I appreciate this post because that is what primaries are for: supporting the candidate you love and want and then, coming together, as Democrats for the general to overcome the evil right-wing candidates who will further destroy our beautiful nation! If there can be allowed a voice of dissent, I would ask as an outsider (Canadian), can you see how making the claim that Hillary Clinton being elected somehow will change the world and make history because “she’ll…become the first female President of the United States, ever.” is extremely US-centric. Many nations have had female heads of State. This is not a new thing for the world. Indira Gandhi, Margaret Thatcher and Angela Merkel come to mind immediately as powerful female heads of state. It may make American history, but on a global scale it isn’t really that big of a deal. You imply that your vote isn’t because of anything Hillary will do (paragraph 2) but simply because she is a woman. It is a little disappointing when it seems that politically active and engaged people like yourselves may be voting more for an idea (first female POTUS) rather than their ideals (what policies matter most to you and your country and how do the candidates match up). I am not suggesting that Hillary Clinton’s policies do not match your own personal values or political ideals, however that should be the main reason why you vote for her, not simply so that you can help elect the first female president. Hope the dissent is acceptable, cheers. Of course, TAPP there is more to it than just her being a woman; perhaps you didn’t understand the sentiment I was trying to convey. Nevertheless, you lost me when you started bringing up Margaret Thatcher, who was pure evil, because your criticism of me wanting Hillary simply because she’s a woman become hypocritical because you then compare it to past/present female heads of state as significant and historical only because they’re female (just not American) as well and you don’t look at their records and merely state they’re historical because they’re female as well. Please note: I also said the “right” woman, not just any woman. I would never support Carly F., who would do more harm to women’s rights than any other male GOP candidate out there. Cheers to your Canadian education! Interesting, because every time I ask Hillary supporters (including my wife) why they support her, they list her qualifications AND the fact she would be the first woman American president. Since the latter is not a qualification, the former is that which we should look at. What has Hillary done that women and children, and men around the world are not STILL paying for? America and the development of the prison industry? How many black men lost their lives to the prison system thanks to Hillary’s embrace of the for profit prison system? How many black children have lost their lives to same prison industry thanks to Hillary’s “super predator” meme? And how many black families have been destroyed by that Hillary support for such increase in industrializing the prison system? America and the unchecked banking industry? Worse yet, she lost to Obama mainly based on her Iraq vote, and here she is, having doubled down in Libya while pushing for Syria, showing no ounce of repentance for it, insisting she did nothing wrong and asking for more of the same! The main fallacy being used is to compare Hillary to Bernie. It is solely used to distract us and make Hillary something as opposite Bernie. Let us judge Hillary solely on her merits…and I still ask, what are those? I’ll respond to Mika because at least they had the decency to display a name and not some ominous online avatar troll name. Believe whatever you want to believe but come the general election I hope you’ll vote blue (as I will if Bernie were to get the nomination) for the sake of protecting us from the right-wing wack jobs out there! Additionally – I REALLY like Bernie Sanders. I always have. He’s a wonderful INDEPENDENT Senator from Vermont (a state the size of a county here in Los Angeles). He’s said publically that he’s only running as a democrat for media attention (http://www.cbsnews.com/news/bernie-sanders-says-he-ran-as-democrat-for-the-media-attention/) and numerous other things that just make us, faithful democrats, hair stand up. I’ve also known about Bernie for quite some time unlike many of the people who are now just #FeelingtheBern. However, there is a reason he shies away from every answer about foreign policy and any other question that doesn’t relate to either: the 99% or big banks. And if I see him, one more time, during a debate wag his finger in her face, I may throw something at my TV. Leave that stupidity to the Republicans for their debates when they gesticulate all over the place. John, you made my point exactly! The “nameless online troll” meme is a red herring, and you know it. The bringing up Bernie is another one. Meanwhile there is complete silence about Hillary’s QUALIFICATIONS. Either she has none to offer, you don’t know any to offer or whatever qualifications she has are more damning that praising. This is what I get from MOST (not all) Hillary supporters I speak to, just as many Obama supporters used the “first black man president” thing to justify voting for him, just like am sure, some will vote for Bernie because he’d be the first Jewish president. It is all fair and understandable, people are tribal. What isn’t however is when people take that emotional response and try to frame a logical/factual argument around it, but worse yet, when challenged, they accuse others of racism, misogyny, anti-antisemitism. That is childish and will insure nothing will truly ever change. We are all grownups here, my choice of nom de plume should have no bearing on the value of my comments. Are they valid or are they not? How do we know that anyone else here is using their real name? And why was my follow up comment deleted? I don’t know what “points” you were trying to make. And, yes, your nom de plume does have bearing on the value of your comments because you could be going to another site and saying something completely different and using a different name. Are you familiar with the problems of online trolling? I own my statements, my praises, my commentary, unlike some people who choose to go by nameless online avatars to bully and intimidate people because they won’t be getting their way re: this election. John, the only point I am making is that we ought to vote for a candidate for being more than just a woman, a black man or a Jew. And unlike any other candidate running, Hillary has a track record to examine. So to close our eyes to that record is incredibly dangerous. As to my “hatred” of her, according to that logic when I voted for Jill Stein against Obama, I was being a racist or a man hater??? Did you vote for Obama against Hillary? If so, were you then a woman/Hillary hater? As for Bernie, I am not a Bernie supporter, you actually have brought up Bernie more often than I have. That wasn’t the point of the blog; as you can see from my comment below, I also clarified that statement. That is one piece, “what’s so wrong with wanting the “right” (in my opinion) woman to be President” but also the blog is about the possibility, to some, who have historically been around a LOT LONGER than me finally seeing, realizing, and sharing the experience that a “woman” could finally be President. Also, her statements on Obama’s record are literally so similar to Bernie, I’m reading them on my screen as if he said them. She appears to be another version of Bernie, with the only difference that he, for lack of a better phrase: “sold out” for the limelight, and in fact, if you look up her statements re: the 99%, the media, big banks, etc. Bernie and her are almost identical. And I wonder, in the end at the Democratic Party Nomination if Bernie will deliver a speech that calls for party unity or if he will tell his supporters to back Ms. Stein? We’ll have to wait and see but I wouldn’t be surprised if the latter occurred. Again you’re caricaturing rather than understanding. That’s poor practice if you want to engage in public debate. Sanders has been an independent because the Democratic party has been further right than his position (most countries have right-wing, liberal, and left-wing parties but the U.S. only has the first two), and because he was able to be elected as an independent in Vermont. However, he’s caucused with the Democrats and supported people within the Democratic party who have been genuine left-wingers—e.g. he supported Jesse Jackson’s presidential bids and helped him win the 1988 Vermont caucus. And he’s clearly explained in various places why he’s running as a Democrat for president—because in the current two-party system your only options when running for president are to run for one of the two main parties or to be a spoilel (like Nader who helped Bush win in 2000). Also, he probably (correctly) sensed that the mood of the Democratic electorate is ready for left-wing politics again after Bill Clinton’s 90s neo-liberalism was almost as bad an assault on the poor as what came before and after it. How the system works is that anyone can run for a party’s nomination. If Democratic voters think Sanders is outside the pale of their party, they don’t have to vote for him, but millions of Democrats are voting for him. Also – these are primaries; it is VERY different from the general. Anyway… If “media attn” really means “having a realistic chance of winning, and not splitting the left-leaning vote,” then I agree with you. That is indeed why he’s running as a Democrat. It was realistic to achieve that goal as an independent in his mayoral, congress, and senate races, but in the presidential race he can only achieve that goal by running as a Democrat. But you seem to think this is somehow unscrupulous. But what do you think Sanders should do? Do you think Americans who want to run for president have to either choose (a) moving to a country where there are more viable options, (b) running an irrelevant spoiler campaign that could end up contributing to their least favorite candidate winning, or (c) positioning themselves smack bang in the center of where one or the other of the two main parties happens to be right now? Can’t they (d) try to push one of the two parties in the direction they want it to go in, and see if the voters respond? Isn’t that what Republican candidates have been doing for so long that Reagan would now be considered a centrist and Eisenhower a socialist? Apologies as this is “above” your most recent comment! I do read RealClear Politics and re: Kasich, I’m not concerned. His “good ole’ boy charm” would wear on general election voters but being from Ohio is why he should be seen as a threat and taken that way in a general. Yes, Bernie does beat him but also: they’ve have 25+ years to just attack, attack, attack and make-up items against the Clintons whereas they haven’t even begun to hammer Bernie the way they would (and already do) Clinton. Sanders, if he is running as a Democrat, and loses, should call for party unity. If he doesn’t, then he clearly was only running for the media attn. in my opinion and to call attention to item which he has already forced Clinton and the Democratic party hard left on. What we’re seeing with Democrats is positive (I’m all for Bernie’s policies, I just think that he, unlike Clinton, is speaking more generally and doesn’t have plans to implement them beside his fancy flow charts, etc. on his website or the real experience of getting things done in congress. You may well be right about the polling changing if Sanders was the nominee, but that’s a hypothesis that the current situation will change… a hypothesis which many Clinton supporters feel justified in making quite easily, without advancing proper arguments for it. Sanders supporters also have to advance an argument that at least some of his current advantage in general polls would remain; and I think Karp does a good job of that argument in the Jacobin article I mentioned. Sanders is getting the same criticisms Obama got: his plans are too vague etc. But the fact is, he has lots of experience getting things done in Congress—more than Clinton (or Obama for that matter). He was in Congress for years and was known as the Amendment King – he also achieved lots with bipartisan coalitions ( http://www.alternet.org/election-2016/bernie-gets-it-done-sanders-record-pushing-through-major-reforms-will-surprise-you ). What he doesn’t have is Clinton’s high-level experience as Secretary of State. But I’d take his principles over her experience on foreign policy any day. I’d also like to provide a voice of dissent here,voting for a presidential candidate just because she’s a woman is quite shallow thinking; pardon my language, a better phrase just didn’t come to mind.As I noticed in one of your replies too,you said something about women’s rights. We shouldn’t forget here that we also have men in the country who deserve to be protected by the constitution. Men are protected by the constitution…men wrote, signed, sealed and stamped the constitution…can you clarify what you were meaning with that? It pays to try and understand your opponents. You ask, “what’s so wrong with wanting the right woman to be the President?” But that’s not the issue (of course there’s nothing wrong with that). The issue is that many people (e.g. most left-leaning people globally and in the US) think she’s not the right woman. She wouldn’t be the right man either if she was a man. She doesn’t believe sexual abuse survivors when the perpetrator is her husband. She is essentially a right-wing politician who has made moves to the left recently after seeing the popularity of Sanders. She only recently came around to supporting marriage equality, and she still supports the death penalty. She is also worryingly hawkish on foreign policy, i.e. she supports the foreign policy that created and fuels Al Qaeda and ISIS, and a vote for her is a vote for the illegal killing of many civilians. She doesn’t think public healthcare is possible (and this affects women more than men in the U.S.). She is in the pay of many wealthy donors, and has been influenced by them in the past (e.g. backing down on healthcare reform in the 90s). She thinks even neutrality is wrong in Israel-Palestine, let alone solidarity with the oppressed Palestinians… she thinks the U.S. needs to side 100% with the colonizing/occupying power. A genuine intersectional feminism expects better. The right woman would be someone like Kshama Sawant or Elizabeth Warren or Patrisse Cullors. I agree with everything but for the inclusion of Warren on that list, as everything she seems to be, a populist, one whose main focus and aim is to fight for the rights of the many, the minorities, the oppressed and downtrodden against the powers that be, fully supports Israel’s oppression of Palestinians. 2- She believes they do but is afraid to dissent from the senate and state it publicly. Either one makes her a hypocrite, at best, unlike Jill Stein. 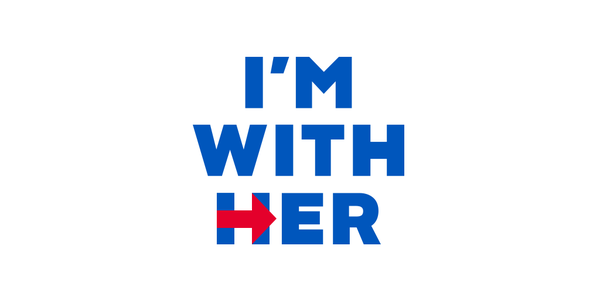 I’m not saying I’m “all for” Hillary’s policies; there are a lot of ways she needs to improve and yes, Sander, with this primary battle, has done a great job pulling her very left but she is the candidate I am choosing and voting for. Regardless of “experience” at least she has some; no other candidate, however, you put it, actually has the type of experience she does on either side or including the green party. If anything, at least, this primary season is proving that if (when) Hillary wins, sexism will be front-and-center and it will be discussed openly so we can continue to address it’s deep seeded nature in today’s society (just like we had to do when Obama, not saying it wasn’t there before, now, or after, first ran for President).